Winner of four Tony awards, including Best Musical, A Gentleman’s Guide to Love and Murder will have you rolling in the aisles from start to finish! When Lord Montague Navarro learns he is ninth in line to become Earl of Dysquith he devises a scheme to become number one. Chaos unsues when the dead wife of novelist Charles Condomime, Elvira, is accidentally summoned during a seance and begins to haunt him and his new wife, Ruth. In classic Noel Coward style, this uproarious comedy is sure to delight.. Legendary Andrew Lloyd Webber bring to life the Biblical story of Joseph, his brothers, and of course- that famous coat of many colors! This family friendly, fast paced musical will be hit with all ages. Based off the rock concept album Tommy- The Who’s Tommy rocks from start to finish. Winner of five Tony awards including Best Original Scory, this rock opera tells the story of a deaf, dumb, and blind boy who becomes a Pinball Wizard and gains a cult following. 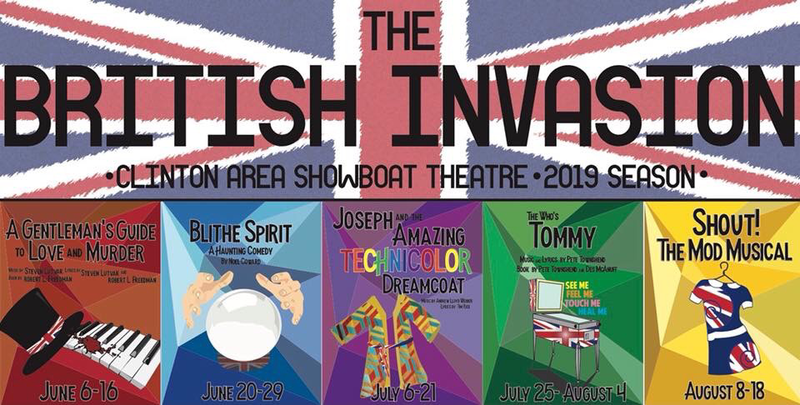 This bright musical celebrates the female powerhouses of the British Invasion and will have audience members of all generations brimming with nostalgia as we follow five groovy gals as they navigate the swinging 60’s. With classic songs such as “To Sir With Love,” “Downtown,” “These Boots are Made for Walking,” “Son of Preacher Man,” and many more - this musical review will leave you feeling fab!